Stunning new Doublet Stamp & Cut dies, paper pads, stamps and a CD - all brand new so don't miss the superb value deals and once it's gone it's gone, so don't miss out! Pre-order yours now on the website - you even get a free paper pad and CD with each kit! Superb value! ...And, shipping and in stock right now is this fabulous new border die - to die for! excuse the pun! Get yours now by clicking the image! 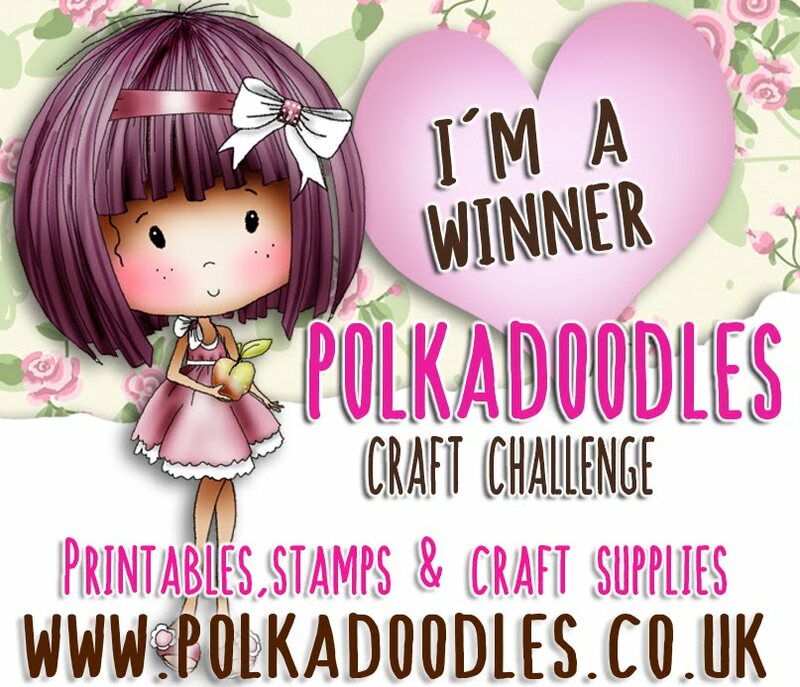 The winner will receive a $10 voucher to the Polkadoodles Digi Store. 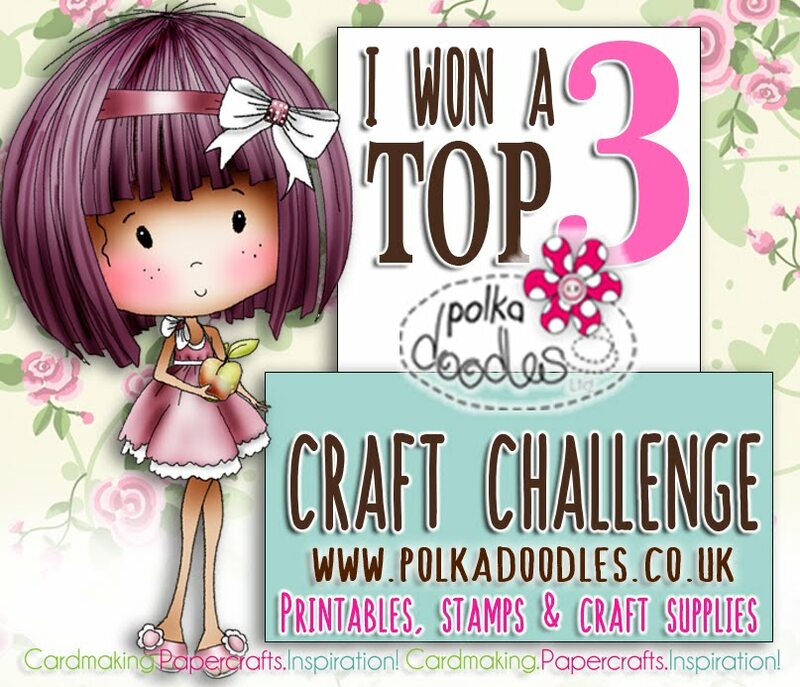 The DT's twist on the challenge theme is "Something New"
Ruth: I've gone with a wonderful new digi stamp - Scratch It! 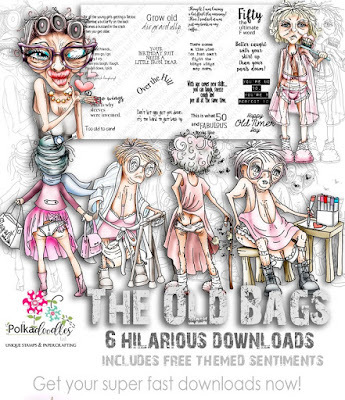 Which is part of the Funny Old Bags collection. 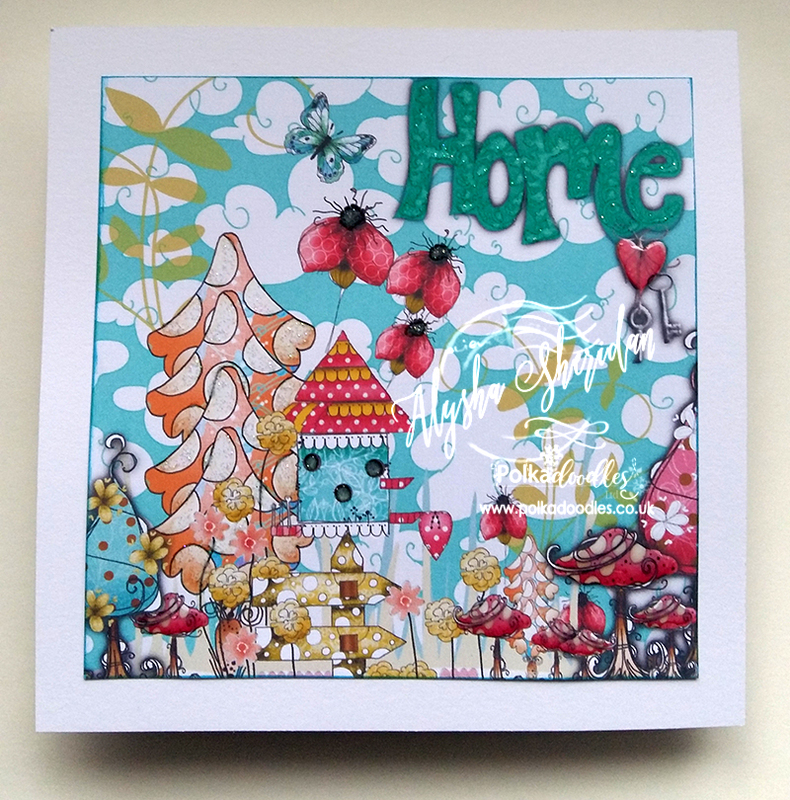 Coloured with Promarkers with a die cut bunting added, the sentiment also comes with the image. Carol - For my something I've used the lovely Winston Bear Celebrate and made a New Year card. I haven't used this lovely image before, and it is just perfect for the time of year. 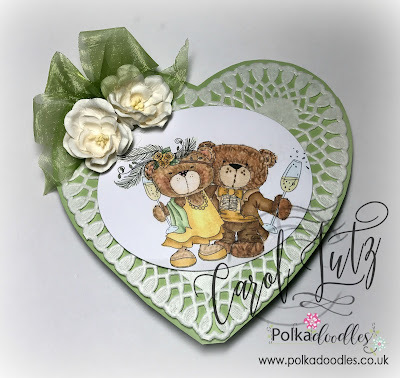 I coloured it with my copics and mounted it on a lovely heart doily which I then fussy cut the card to match. Pauline - I've used a gorgeous image, papers and sentiment from the fabulous new Belle Papillon CD to create my card, this collection is packed with over 500 unique elements with a luxurious vintage feel. 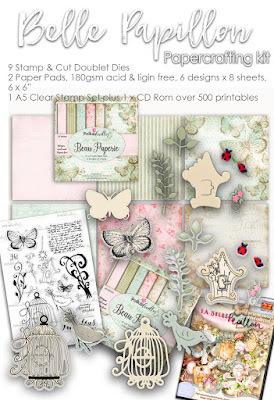 I have also used the A5 Belle Papillon Clear Stamp Set and matching Doublet Butterfly Die. 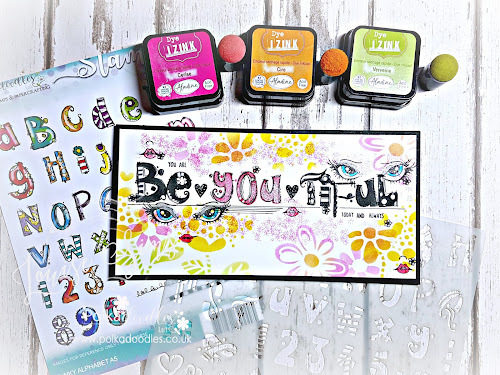 Lisa - For my something new make I've used the A5 Belle Papillon Clear Stamp Set, the matching doublet die Flower Flourish, Elegant Nest Dies and Belle Papillon 6x6 Paper Pad to make a desk calendar. Elena - My HAPPY NEW YEAR card is made with this faboulous ICE QUEEN - OCTAVIA FROSTED WINTER. Behind Octavia is the sweet bear from WINNIE WINTERLAND. So there we go - lots of fabulous creations to inspire you, we know loads of you will be raring to get back to your crafting now the festivities are over so we can't wait to see what you make this week! 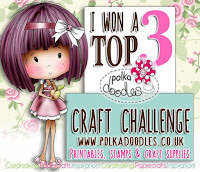 Our Winner and Top 3 of our Anything Goes Challenge Weeks 50/51 will be announced next Friday. Thanks so much for entering our challenges and sharing your creations with us, we love coming to visit your blog and seeing your inspiration. 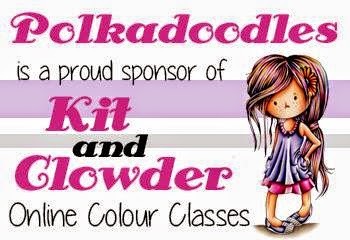 Remember to come and join us over on Facebook HERE where you can join our lovely sharing group - even more inspiration, great ideas, GIVEAWAYS and lots of fun in our community with almost 4000 members! You have until Noon, GMT, Friday 30 December to enter. Helen - I just love this Cosy Christmas image from the Winnie in Winterland Collection that you can find right here. It makes me feel so warm and snuggly just how you should be for a traditional Christmas. 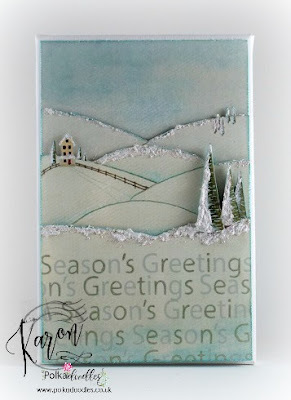 Lisa - Today's make is a quick make, ideal for very last minute Christmas Cards! I have used papers, a sentiment and a Snowman and Heart embellishment from the Festive Christmas Download. For speed I layered the papers digitally and to stop the card looking to plain added some doodling and some sparkle. 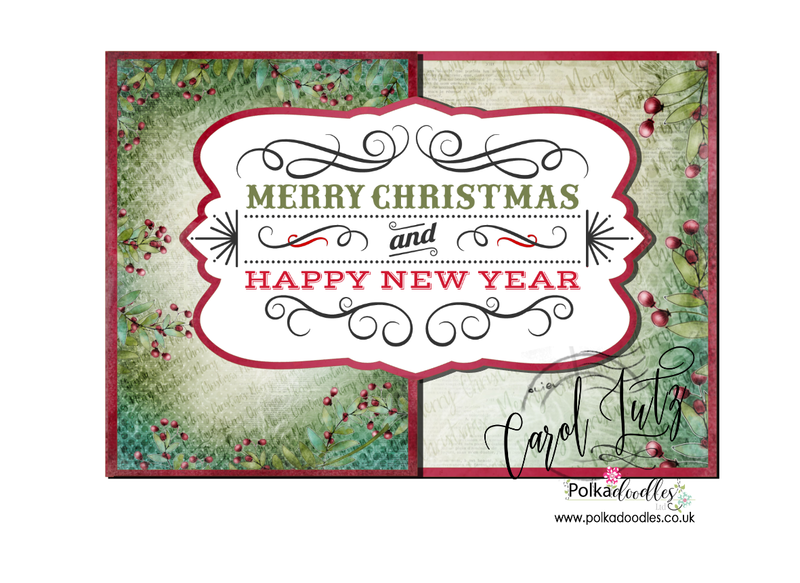 Carol - Another quick and easy Christmas card from me this week using digi papers and a sentiment from Winnie Winterland to make a simple z fold card. 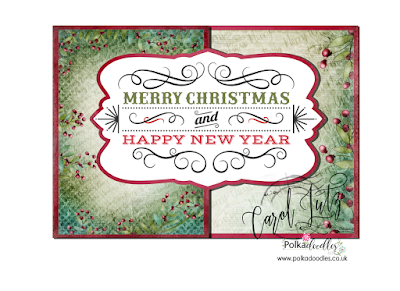 Pauline - I have used a gorgeous image and papers from the Winnie in Winterland collection to create my Christmas card. 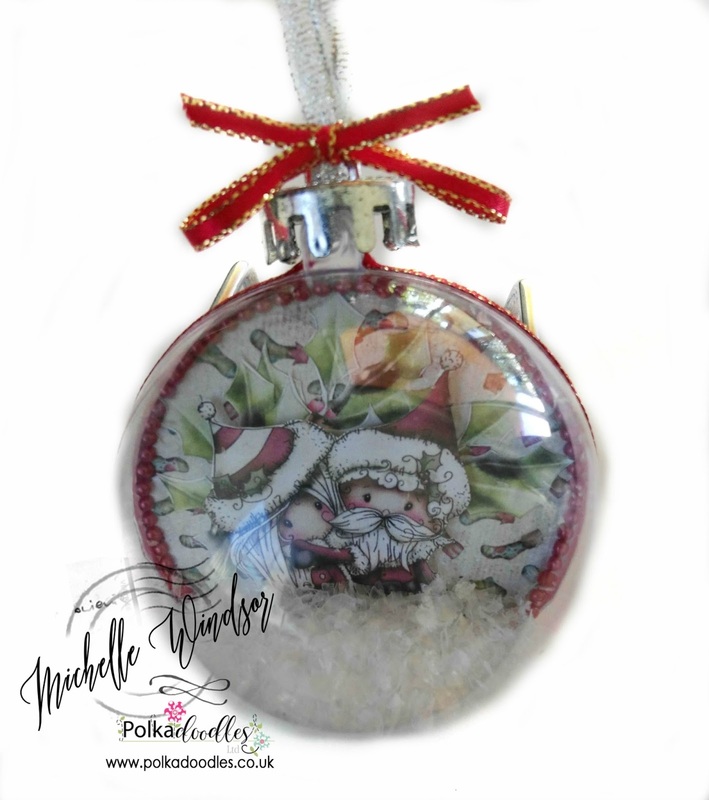 I fussy cut the holly which is also from the Winnie in Winterland collection, the tag is from the Festive Christmas collection. 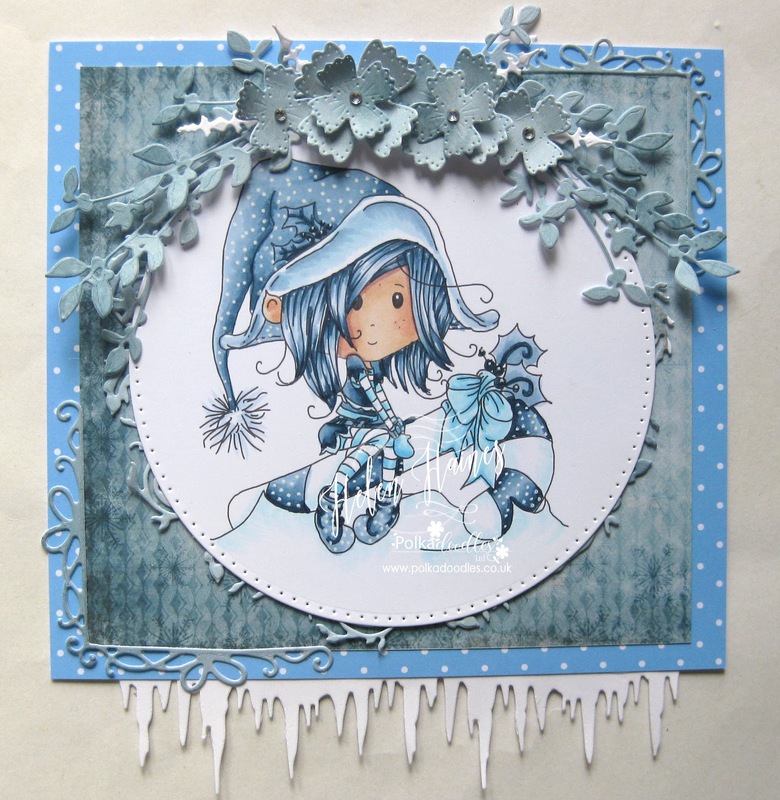 Elena - Winnie in Winterland collection is the protagonist of my card. The sweet timbre MR & MRS CLAUS is colored with COPIC. Christmas stars instead with watercolor pencils. with some beautiful new products for you! 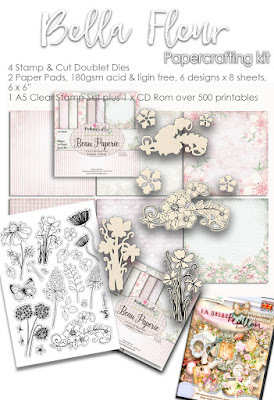 Stunning new Doublet Stamp & Cut dies, paper pads, stamps and a CD - all brand new so don't miss it there are some superb value deals and once it's gone it's gone so don't miss out. Here's a sneaky peek! Pre-order yours now on the website - you even get a free paper pad and CD with each kit! Superb value! ...And, shipping and in stock right now is this fabulous new border die - to die for excuse the pun! Get yours now by clicking the image! Tina - Today I give my debut in this fabulous design team. I created a Christmas doily with Winnie Winterland - Yummy Gingerbread. I´ve colored them with polychromos. 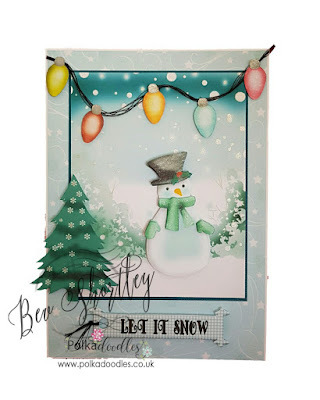 The trees and the blue background paper come from the Winnie Winterland - Big Kahuna Bundle. I cut the rosette with the Cameo Plotter from white glitter paper. It looks as beautiful as shining snow. The edges I have easily distresst and then all layers with hot glue put together. Now the Doily can be hung on the wall or on a door. Please feel free to visit my Blog for more Photos. Anjie - I have used the Twiggy and Toots Festive Fun Christmas collection which is just adorable. Just how cute is this little owl santa! Everything you see on the card is from the collection. I've slightly distressed the edges of the papers and image and added some faux stitching with a white pen. Everything is raised using 3D foam. More photos on my blog. 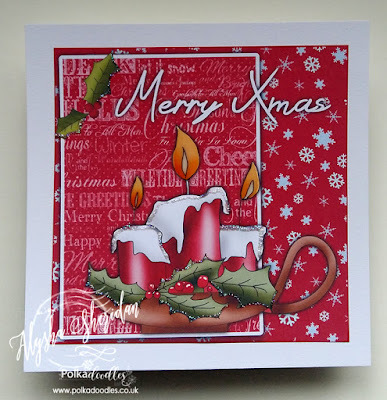 Tracy - Today I have used my favourite Christmas Collection - Festive Christmas. I wanted to add the Robin and use of flowers to surround the mailbox which is the focus. Once again lots of fussy cutting and adding distress ink to the edges to give it a more aged tradition look. 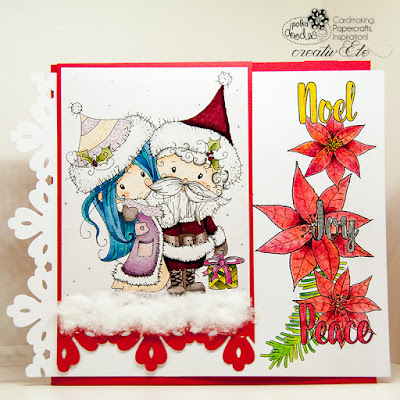 Lou - I have used the O Christmas Tree stamp set to create my huge poinsettia which I have coloured with distress inks. The petals were stamped and embossed in white first. backing paper is from the matching Festive Christmas CD. 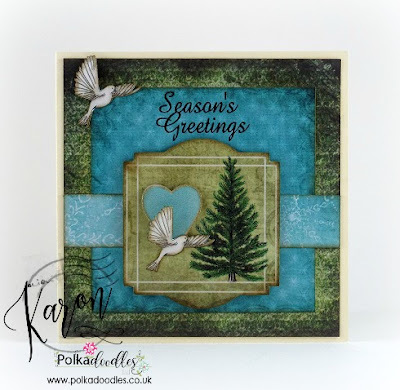 Gail - I've used the beautiful Festive Christmas collection along with the some of the fab new dies, Flowers 1, Bubbleicious and Cherry Blossom Branch die sets. 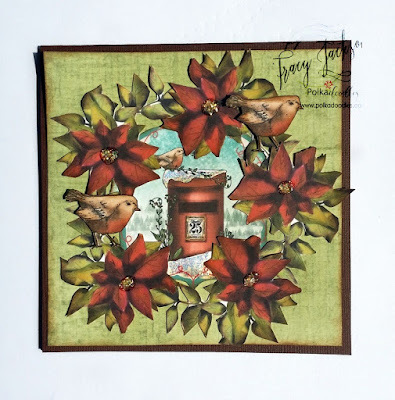 Scatty Jan - This week am sharing a stocking that I made and decorated using Festive Christmas collection. Bev here, with my take on a traditional Christmas to me that means good old green & red. I opted for the very useful Festive Christmas collection and cut out a few pre-coloured images & papers. I just added some bakers twine, a bell and a sentiment from my crafty stash. 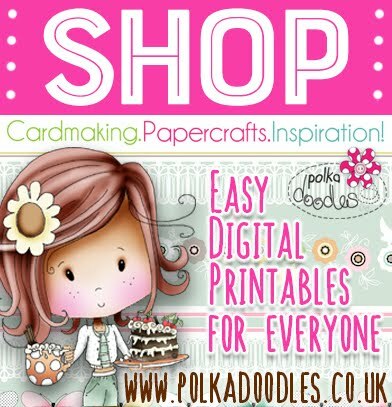 Ruth - I've gone for a golden oldie this week - all the way back to Paper Boutique 2 - Creative Christmas. Simply printed all the elements, cut them out and layered up with foam pads. Great for something to do whilst watching Christmas films! Claire C - I've made a quick card using the fabulous design sheets from Winnie Winterland, just adding ribbon, lace a charm and of course some glitter! Our Winner and Top 3 of our Anything Goes Challenge Weeks 48/49 will be announced next Friday. You have until Noon, GMT, Friday 16th December to enter. 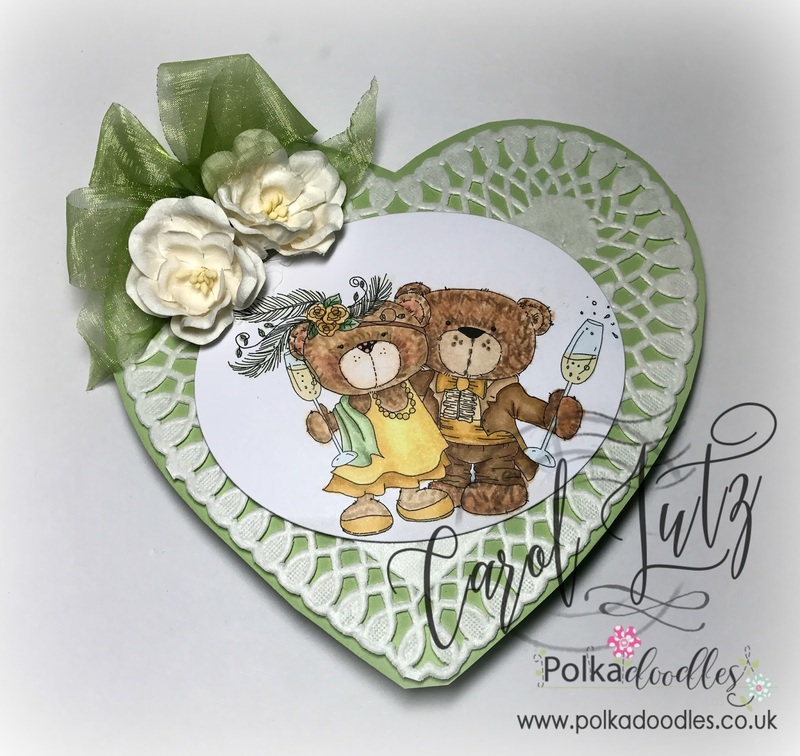 Ruth: I've made a cute little card for a special little boy - Winston Bear was perfect, coloured with Promarkers and layered onto papers from the Winston Deluxe CD. 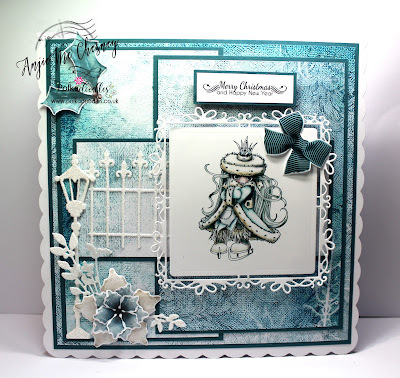 Various snowflake die cuts and ribbon from my stash and the card is complete! Anjie - I've used the beautiful Octavia Frosted Winter Collection. The image, papers, sentiment, bow, flowers and holly are all from the collection. 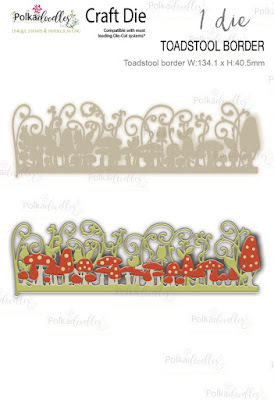 I have use the Ribbon frame die to cut the image out and the sprigs die behind the flower. I have also used the Elegant Lamplight and Gate die. Lots more info and photos on my blog. 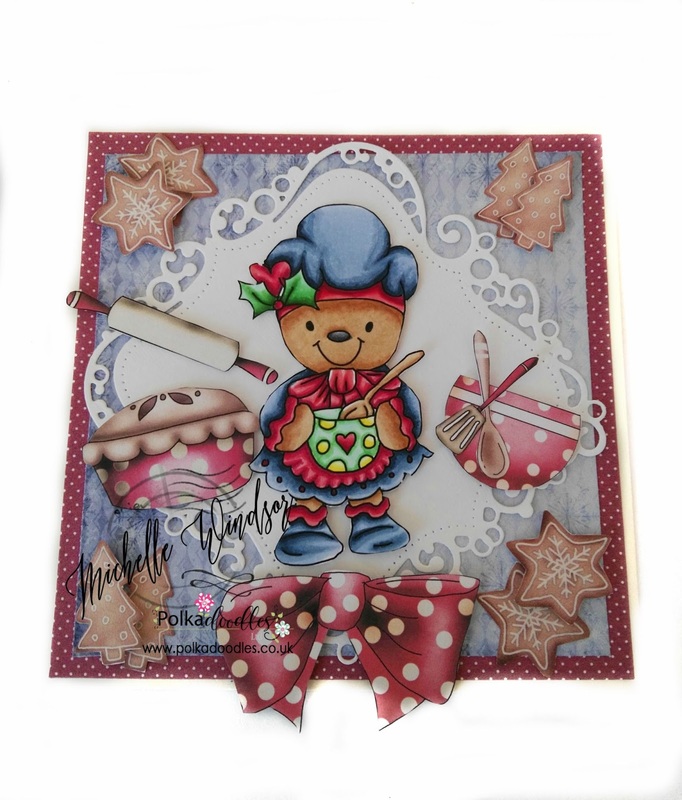 Michelle - I have used Baked with Love Gingerbread collection and also used the New Dies Bubblicious Frame and Fancies This was so much fun this collection is excellent. 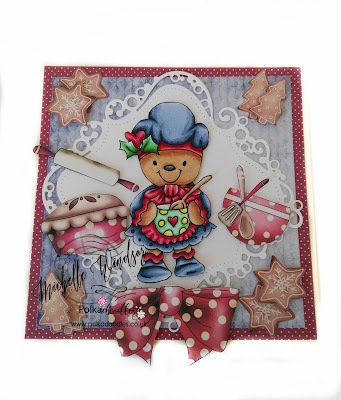 Tracy - Today I have used Baked with Love Gingerbread Collection. Its the first time I have had a play with this collection, its lovely. 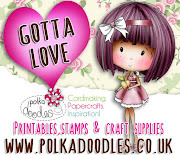 I have used various elements and lots of fussy cutting which seems to be normal for me! I wanted to make the collection "pop" out from the card so placed on a white embossed background and added a few pearls to the flowers. Lou: I have used the gorgeous Festive Soup stamps (O Christmas Tree and Red, Red Robin) to create my card with one of the backing papers from the matching Festive Christmas CD. 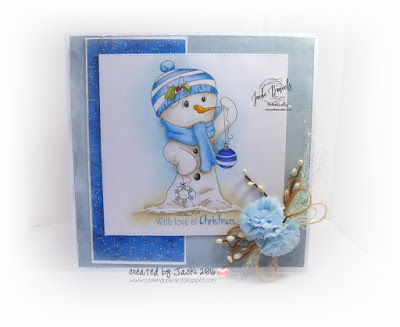 The snowflakes are made using the smaller stamps, layered up with a gem in the centre. 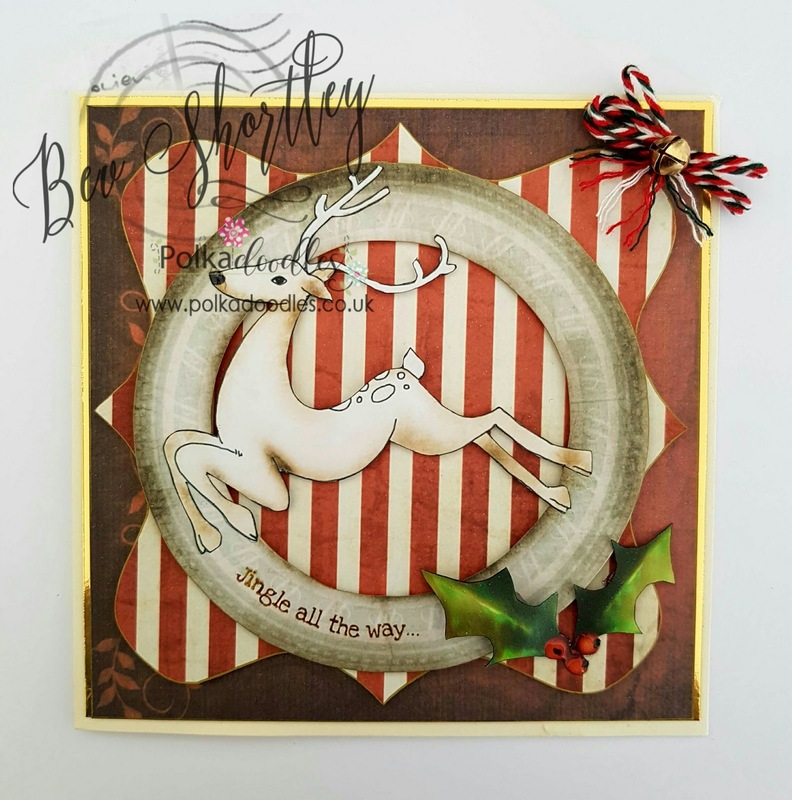 Gail - I've used the extremely versatile Super Sprigs die to create a mini wreath. 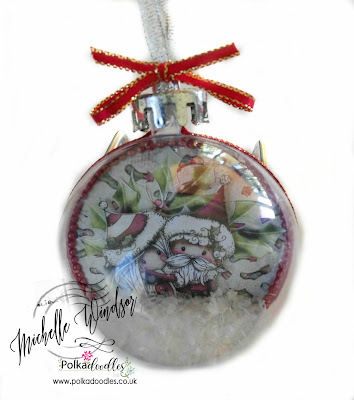 I also used the Bubbleicious die set to create the centre of the wreath along with the snowflake stamps from the Festive Christmas collection , embellishing with a 3D pearls and a little glitter. Bev here with my take on Blue Christmas. I used all pre coloured images from Twiggy & Toots Festive Fun and created this cute little scene within my graphics programme all I added was a sparkle pen! Claire C - I've made this card using the adorable Winnie, this image is called Bearing Gifts and you can get it as a digi stamp here or treat yourself and buy the full collection here. 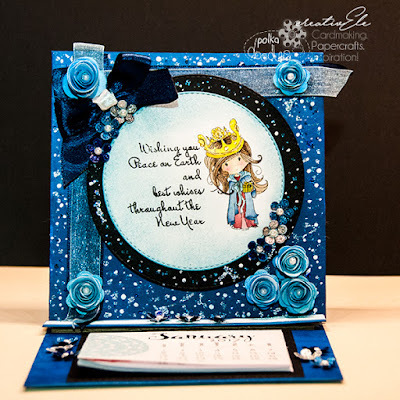 I die cut the image using my favourite Bubblicious frames die and added some distress ink and frantage powder. 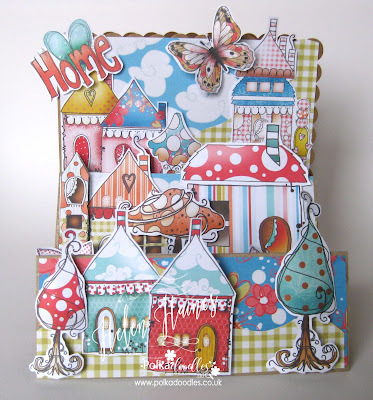 The background and sentiment were made using stamps from the Red Red Robin Stamp Soup collection. Helen - For my Blue Christmas I've gone monochromatic and used the fabby Candy Cane Elf from the Winnie Winterland collection you can find it right here and some of those awesome new dies. 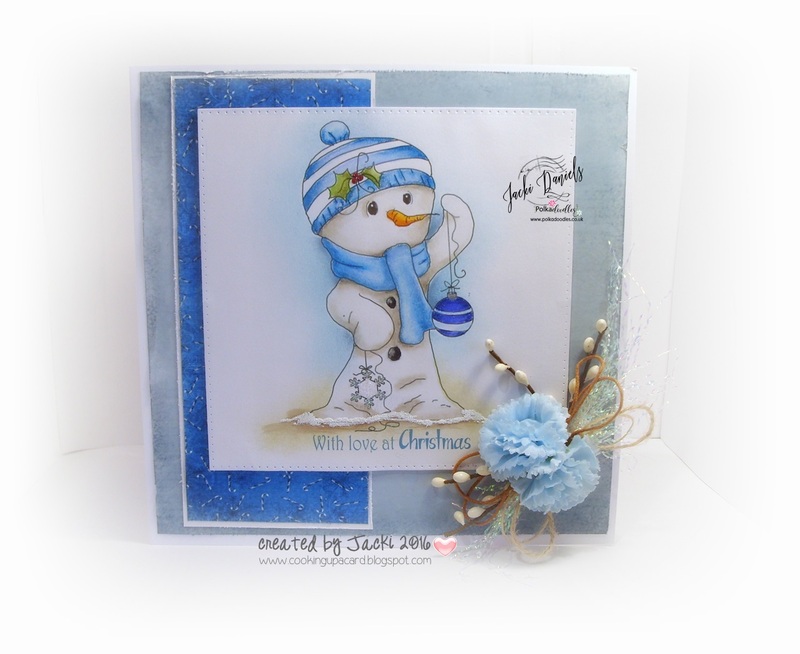 Jacki For my blue Christmas I have used papers from Winnie in Winterland & Baked with Love and the super cute snowman is a digi also from the Winnie collection which I have coloured using prisma and derwent colour soft pencils. Lisa - I've gone clean and simple for my card today. I have layered the Frosty Penguins image and sentiment directly over a backing paper from the Frosted Winter Octavia Digital Download and printed onto my alcohol marker card. I have coloured the image and then added shading around the image for a little depth. 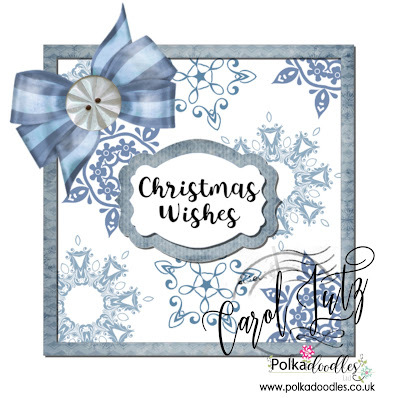 Pauline - I've used a fun image from Winnie in Winterland to create my blue Christmas card - don't be shocked, I've actually coloured my image for a change! The papers are also from the Winnie in Winterland collection. Carol - For my blue Christmas card this week, I've used papers, embellies and a sentiment from the Winnie Winterland collection. I created the snowflake paper layer with the embellies. I wanted to keep to a clean and simple card this week. To finish it off I added a button and bow from the Ephemera in the Rose budd collection, which I printed and cut out. 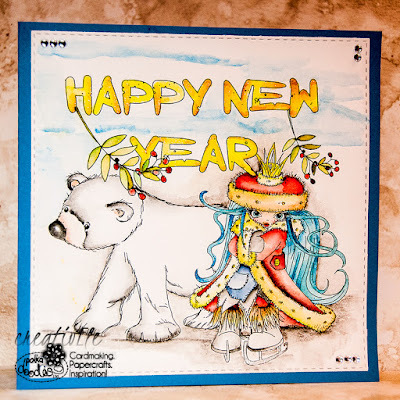 Elena - I used the sweet Winnie to make a special calendar for the new year. It's name of this digi is Bearing Gifts and you can get it HERE . Karon - I have used the wonderful Festive Christmas collection for this quick card. Just layering up some extra pieces, inking the edges and used a glitter pen to add some sparkle to the doves and heart.